There’s a post that’s making the rounds in the social media world from a mother who blames herself over the fact that her child has Autism. Normally, I’d say that this is normal. Every parent blames themselves over everything that happens to their child. Getting an Autism diagnosis is never easy – even when it winds up helping you understand what is going on with your little one and even though it can help you help them more. That being said, though, the mother goes through a laundry list of ways that she gave her son Autism. From Ultrasounds to vaccines and High-Fructose corn syrup to C-Sections. Even fluorinated water contributed to his diagnosis. She’s convinced that, had she just avoided each of these things, her son would be "normal." Therefore, it’s all her fault. Right? Her mistakes aren’t on that laundry list. Instead they involve 1) trusting the wrong sources for medical information, 2) bad risk assessment, and 3) viewing Autism as some debilitating disease which means her child will never have a fulfilling life. The good thing about the Internet is that everyone can get the word out about what is important to them. The bad thing about the Internet is that everyone can get the word out about what is important to them. Even if there are no facts to back them up. If you wanted proof that man never walked on the moon, just do a search. I’m sure dozens of sites will be willing to show you "definitive proof" that the astronauts were suspended by wires on a sound stage. This doesn’t mean they are right, of course. Just that they can set up a web page. On the medical front, there are lots of organizations that make their money by getting people to question "the medical establishment." To listen to them, there are tons of cures for everything from cancer to the common cold, but Big Medicine is keeping them down. But if you just buy their pills/special water/anti-toxin cleanse/etc, you’ll get better in no time. They fall under the umbrella of something called Alternative Medicine. To give an example, suppose that chewing a leaf from a certain plant helped make pain go away. Some might sell the leaves as an alternative to pain medication and it might fall under the heading of "Alternative medicine." However, scientists would study the leaf, isolate the chemical compounds responsible for the pain relief, study it, and make a pill comprised of a safe and reliable dosage of this compound. The alternative medicine would wind up being just medicine. Yes, drug companies seek out profits and, no, they aren’t saints. However, if some drug company (even a tiny one) actually could cure cancer with a "toxin cleanse" or some other treatment, they would make billions. There are scores of researchers trying to figure out each disease and condition. How does it begin? How does it progress? Can it be slowed down/halted/cured? They release their findings in a public fashion for other scientists to examine and attempt to replicate. Findings that can’t be replicated are ditched and those that can be repeated lead to new theories on how these conditions work. This, in turn, leads to new treatments. The problem with the conspiracy theory approach is that it requires a large group of people keeping the secret so well that they hide it from the public and yet so poorly that the conspiracy theory group "sees the truth." In the case of the Moon landings, tens of thousands of people supposedly kept quiet about the design and launch of a rocket as well as the training of astronauts over a period of over 40 years. All to keep the illusion that we went to the Moon. Moving back on topic a bit, I looked through the sources that the blog author linked to. Some claimed certain scientific studies claimed a link to Autism where one might not exist or where the link might exist but might not be causal in nature – that is, X might show increased incidence in kids with Autism not because X causes Autism because of some other factor. Others were from sites built specifically to decry that Medical Item Y is really horrible and causes tons of horrible illnesses. Quite a few touted their own "alternative medicine" or "folk medicine" treatments instead of actual medicine. Most of these sites, I wouldn’t trust as far as I could throw the servers they run on. This one is primarily aimed at the "vaccines cause Autism" cry that the mother echoes. I’ve lost count of how many times I’ve heard this uttered. First off, there is no study proving a link. In fact, no matter how many times this is studied, the results always come back showing no link at all. The main "Autism caused by vaccines" outcry came from a study by Andrew Wakefield who has since been found guilty of misconduct, had his license to practice medicine revoked, and had his study erased from the Medical Registrar. However, let’s assume for a moment that a study came out tomorrow definitively proving that vaccines cause Autism. (For the purposes of argument, we’ll skip the steps where the study would be checked and double-checked with replication attempts being made by many third party scientists.) Would it make sense to stop all vaccinations to halt the "spread" of Autism? Here’s where Bad Risk Assessment gets involved. Vaccines are victims of their own success. Most people today (and I include myself in this) don’t remember the horrors that many diseases wrought before vaccines were found for them. Many people think that the Measles just involves being sick with spots for a week (ala Chicken Pox) or that Whooping Cough just means you cough a lot. No big problem, right? Except that many people either died or were permanently scarred/disabled by these diseases. If you had a choice between your child having Autism or having a big chance of a horrible death which would you choose? A child with Autism isn’t worse than a dead child. Anyone who thinks so clearly has never lost a child before. I’m sure the parents of Dana McCaffery would have loved to have her alive and Autistic instead of dead at 4 weeks – too young to be vaccinated. Here is where the big success (and "failure") of vaccines lies: Herd immunity. If you vaccinate 90% of a population against a disease, the disease won’t be able to spread enough to infect the 10% who aren’t vaccinated (usually due to age or medial conditions). This means that those who aren’t vaccinated are protected by the vaccinated. Now some people decide vaccinations are bad and stop vaccinating. Their kids don’t immediately fall ill as herd immunity is still in play. However, as they spread the word about "evil vaccinations" and as more people stop vaccinating, herd immunity stops working and more people get infected. Three years ago, as part of a post on herd immunity, I wrote a Vaccination Simulation. It’s not perfect, but I still think it’s a good demonstration. Sadly, this is being demonstrated in real-life with the uptick in measles as well as other vaccine preventable diseases. Yes, some people with Autism will spend their lives needing constant help with every day matters. However, other people with Autism will go on to lead very productive and fulfilling lives. Some will even excel in their fields. I’ve found my Autistic thought processes lend themselves very nicely to dealing with computers – which is handy considering that I program websites for a living. I can’t speak for the author’s child. I don’t know the child and every person with Autism is different. The only clue I have is one line that indicates that her child is verbal. That’s about it. This doesn’t give much of an idea of what challenges lie ahead. I can almost guarantee that they aren’t insurmountable, though. Especially given how young her child is. The younger a child with Autism gets help dealing with the neurotypical world, the easier of a time they’ll have. There are many support groups and therapists available to parents nowadays. These people can help children with Autism navigate their way through a neurotypical world that often seems all too confusing. They can also help neurotypical parents understand their child with Autism. I’d recommend that the author find a group that doesn’t focus on pointing fingers at what caused her child’s Autism and instead looks to find a way to help her and her child. As I came to grips with this, though, I found myself feeling something else. At the time, I called it "Genetic Guilt." You see, all the evidence points to Autism being a genetic issue. Somewhere in our DNA, some genes get flipped one way instead of another way and the result is the Autism spectrum – ranging from high functioning to (for lack of a better word) low functioning. Since I was clearly Autistic, this meant that MY genes gave NHL Autism. Part of me felt that it was MY fault. Of course, I knew intellectually that this wasn’t true, but it took the emotional parts of my brain longer to catch up to the logical parts of my brain. In the past, when we knew much less about Autism than we know today, the blame for Autism was placed on mothers. The "Refrigerator Mother Theory" figured that moms who didn’t provide enough "maternal warmth" caused their children to be autistic. While that theory is (thankfully) dead and gone, I don’t think the "blame the parents" attitude ever completely left. There still seem to be countless people pointing fingers at parents (often softening the blow by claiming they were duped by Government/Doctors/Big Medicine/etc but pointing nonetheless). What’s worse is that many parents seem to accept this pointing with open arms. Perhaps it’s due to the feeling of control they have over a situation that can often feel very out of control. Whatever the reason, though, it’s wrong. Here’s the truth from one parent with Autism to all parents (Neurotypical and Autistic alike) who have children with Autism: The only way you "gave" your child Autism is via genetics and that’s something you don’t have control over. Accept the "why" and move on. Focus on the child you have. They aren’t some brainless lump with no hopes for a future and they certainly aren’t better off dead. They have their challenges, yes, but they also can have support to help them through. A big part of that support is you. Be there for your child and get support for yourself as well. It isn’t easy (no, not even if your child is "high functioning"), but it is worth it. Blaming yourself and buying into conspiracy theories or Internet rumors about how Autism happens isn’t going to help anyone, least of all your child. It isn’t possible to have a genetic epidemic. Genetically, you wouldn’t go from 1:10000 to 1:56 boys in just a generation or two. There Has to be more than just a genetic link to Autism. That’s why it’s represented by a bunch of puzzle pieces. It cannot be explained by just one cause. I have no genetic link to Autism in my family, as far as we can trace back, 7 generations, but my son has Autism. He was a very difficult pregnancy and birth, had seizures after his first MAR. If it’s only genetic, please tell me where it came from! Autism isn’t an epidemic. The reason it looks like Autism rates are increasing is because detection is so much better. Decades ago, high-functioning Autistic kids were written off as “shy” or “odd ducks” and low functioning kids were hidden away as shameful family secrets or were thought to have other issues (not labeled as Autism). Nowadays, there’s even been research showing signs of Autism in babies as young as 8 weeks. (See: http://www.webmd.com/brain/autism/news/20131106/autism-sign-may-appear-in-first-months-of-life ) This isn’t enough to diagnose the babies with Autism, but it’s enough to see initial signs. As far as not having anyone in your family with Autism, I’d answer that in two ways. First of all, genetics can be tricky. I don’t have anyone in my family who is left-handed and yet I’m left-handed. Left-handedness hid in my family’s genes for generations before coming out in me. Secondly, how do you know nobody had Autism going back seven generations? If they were high functioning (i.e. Asperger’s), they might have hid their Autism well enough that nobody would have thought anything of it. At most, people might have thought that Uncle Ted was a bit odd or didn’t talk much, but the term “Autism” wouldn’t have come up. Finally, seizures don’t lead to Autism. I had febrile seizures as did my son with Autism. However, my wife had them also and isn’t Autistic. Moreover, my youngest son (who is neurotypical) has had many, many seizures and doesn’t have Autism. So then it is your position that the only thing that leads to Autism is genetics?!!! Again 5 children, extensive family records, and 5 living generations at a time, personal knowledge of my family says you do not have the answer either. And he never had a febrile seizure. He suddenly had seizures for a period of time from a couple weeks after his shots, until about a year after his last immunization. I think the one size fits all vaccine mindset is so dangerous. I think you should get the least amount you feel appropriate in your area, culture, family, etc. Shooting my 1 day old with a vaccine for an STD is incredibly stupid. Treating someone else’s child for an STD at one day old may not be so stupid, but I’m free to make that decision and should not be vilified for it. In my family in my home and with the risks my family encounters, and the amount of damage it did to my son, it’s not worth it. When they get older, and want to travel, and I expect them to, they can decide what precautions they want to take. In the meantime, if I want them and myself to avoid the flu, I teach and show them good hand washing. I can’t tell you that for everyone vaccines are bad, that’s clearly not the case, but what if our son has a genetic “trigger” and you could have prevented him from being autistic if you just didn’t pull that trigger? Not his personality, not his self, not his being, essence, smarts, etc, just the Autism? Maybe just some of it…. Just the, say, tantrum part? (idk if this is your personal experience with Autism, I’m being a bit general) Or the sensory difficulties in a certain area? What if the trigger was never pulled and his life was that much easier than yours because of it? That is why I no longer immunized my family. Because of the one size fits all mentality of it. 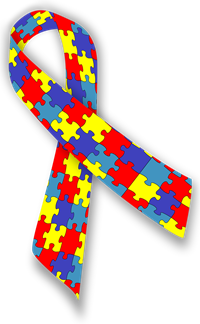 I do think of Autism as a puzzle, I believe it’s not just one piece or one thing that is a cause, but many things. And until there could be reliable tests, to be 100% sure it won’t harm anyone, I won’t do it.